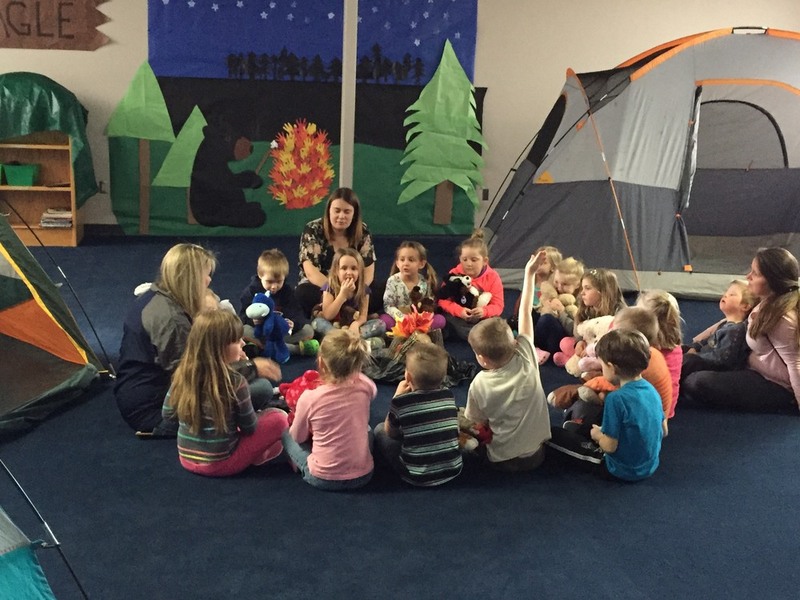 Miss Laura and her Busy Bugs spent some time camping at Camp Eagle in the library on Thursday. Miss Laura read a very good book to her class, and then the Busy Bugs got to read to their furry friends. They closed out their visit with a song around the campfire!